So, you have two days to see the northern part of the South Island. How will you do it? This area of New Zealand is renowned for the beautiful scenery, rugged coastline, wineries, orchards, seals and glorious trekking and hiking trails. So, how do you do all this in two days? First things first, as usual, I have to take care of my hunger. 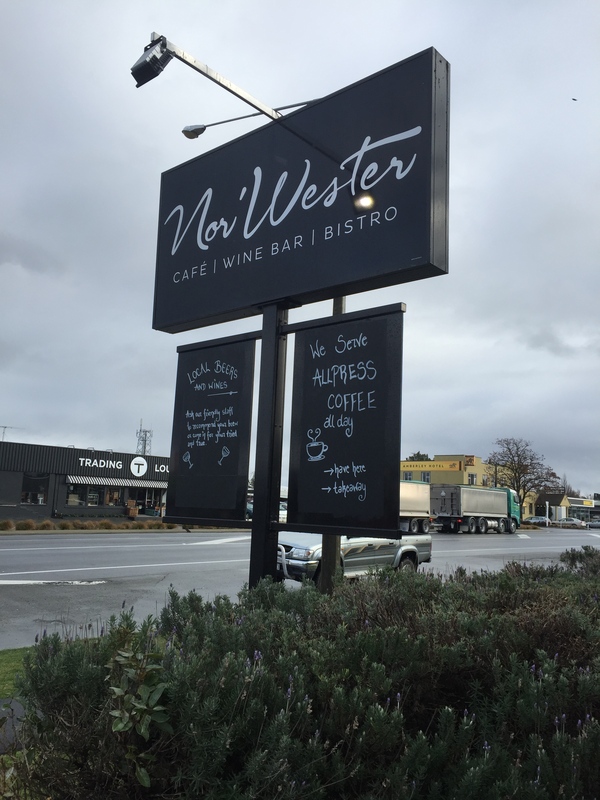 Keates mentioned a place along the road called Nor’Wester in a town called Amberley. Great food, good coffee, everything I like in a cafe/restaurant. Because I have become a self-proclaimed expert on great food and good coffee, I would definitely recommend this as spot to drop in. Especially if you are cruising up the East coast. Pegasus Bay and Waipara Hills are two of the major wineries in the Waipara region, both of them have great reputations, but Keates and I were heading for something a little smaller and a little more obscure. Driving up State Route 1, took us through some pretty spectacular scenery. 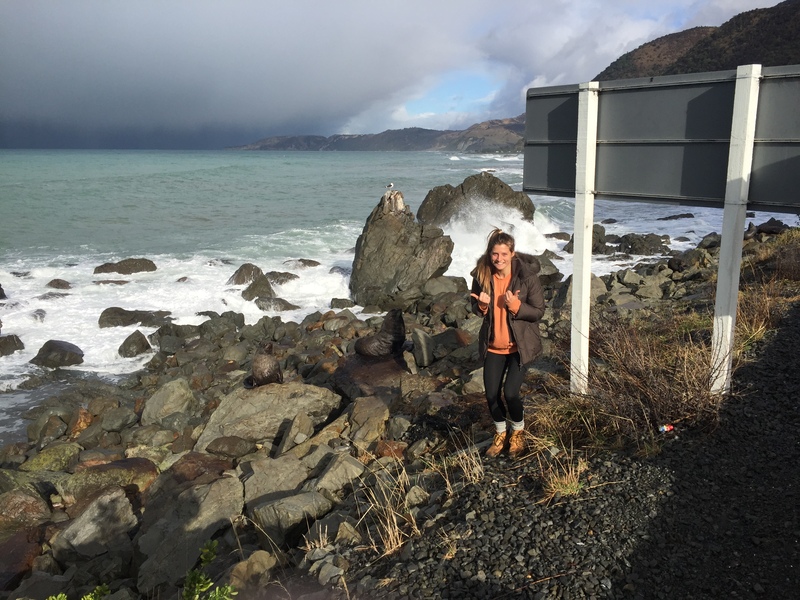 I probably annoyed Keates with all my vocalisations of how amazed I was with the wild ocean on one side and snow covered mountains on the other… and the sheep! It’s not a myth, there really are so many sheep. 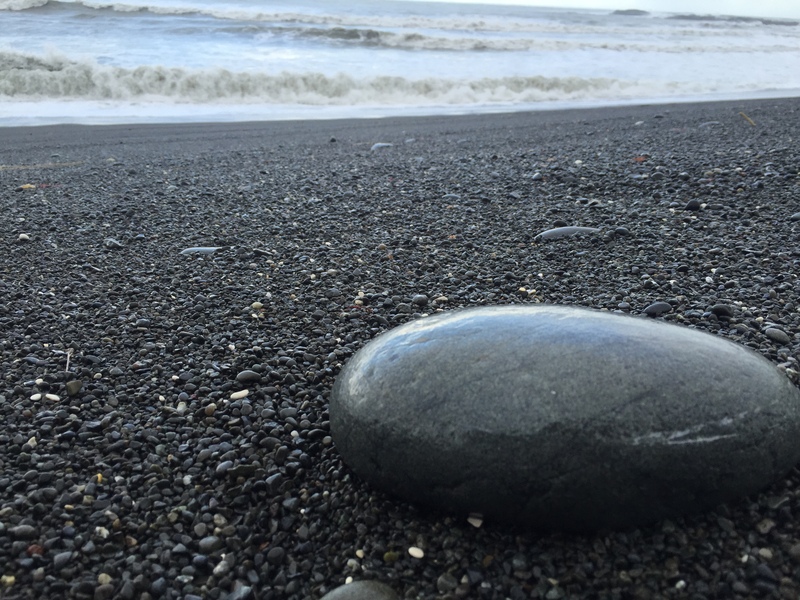 The sand on the beaches turned black and after looking at it in awe for a while I decided I absolutely had to stop and play on it… the problem was, it was pouring with rain, and I was hungry again. 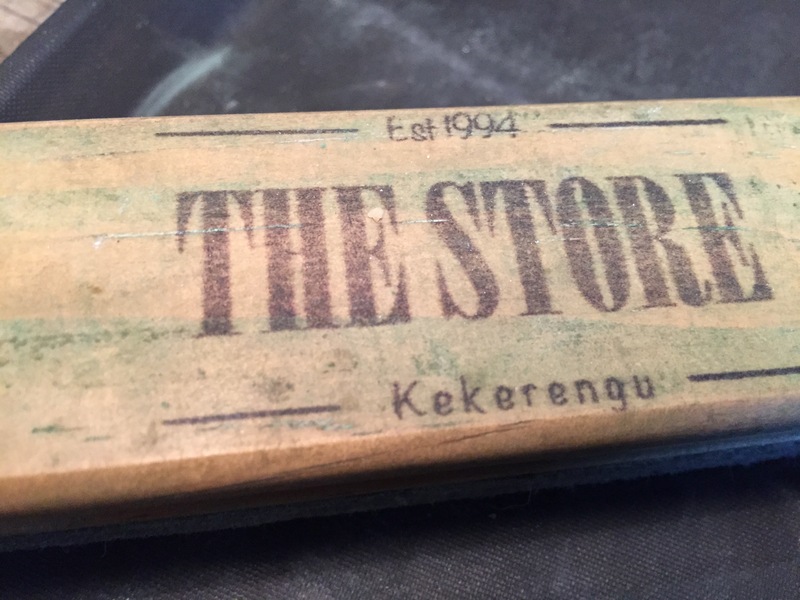 We happened to pull over at an isolated carpark with a sign for The Store in the town of Kekerengu on the Kaikoura coast. The name (of course) suggested it was a place we could purchase some food, but upon opening the doors it was something else entirely more awesome. 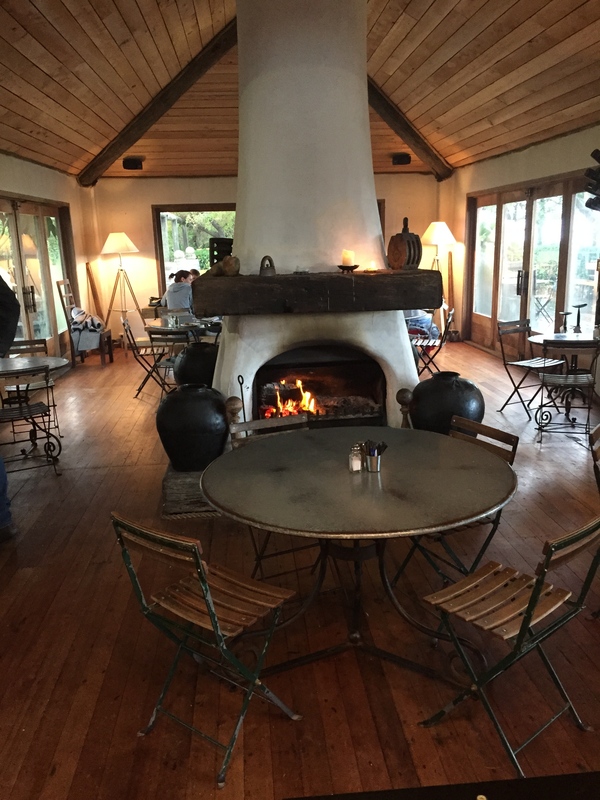 Warm and cozy with a central fire place and views of the ocean, The Store is an open plan restaurant/cafe that totes a warm Kiwi welcome. 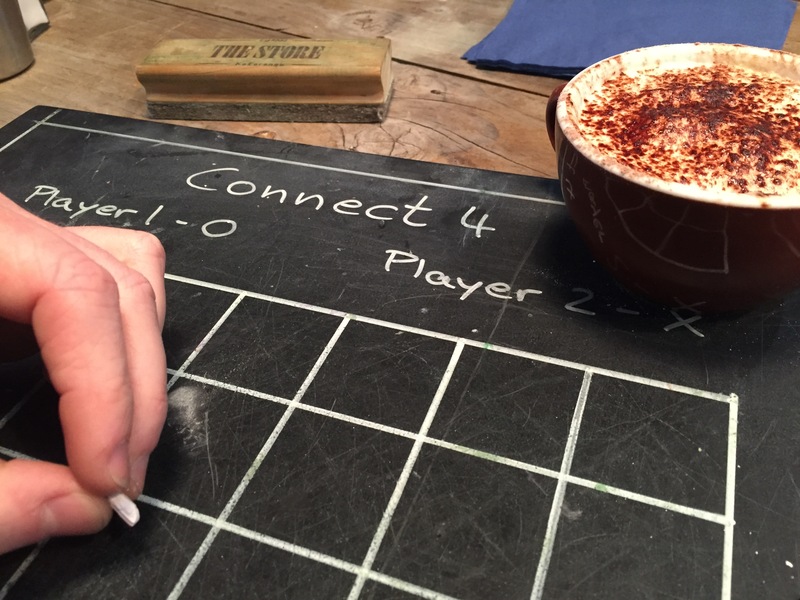 After ordering my coffee, and sitting down to a game of naughts and crosses on the boards provided, I turned to Keates and said that if the food was good (salt and pepper squid) I would be putting it in my top things to do in New Zealand… well… it made the list. 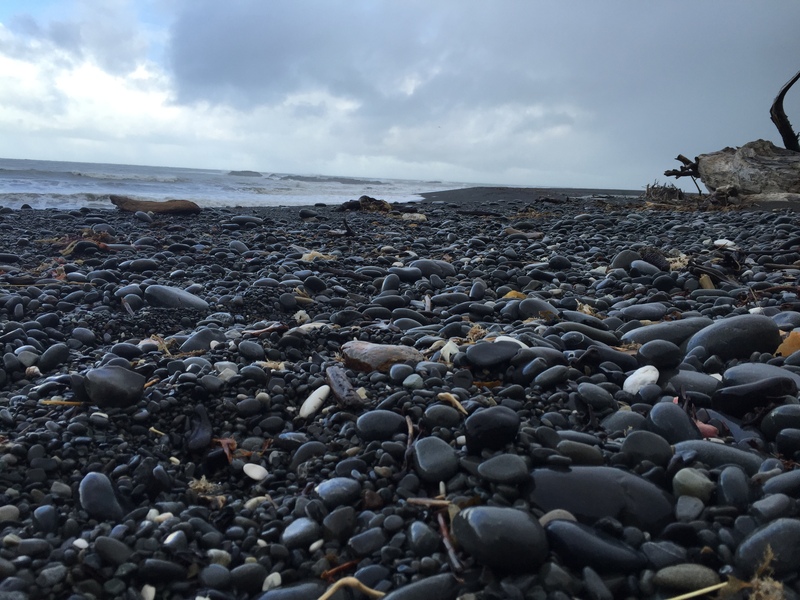 I walked down the front onto the black sandy beach once the rain had eased and got way too excited about the black pebbles… which, might I say, is worth checking out if you have never seen such a sight. 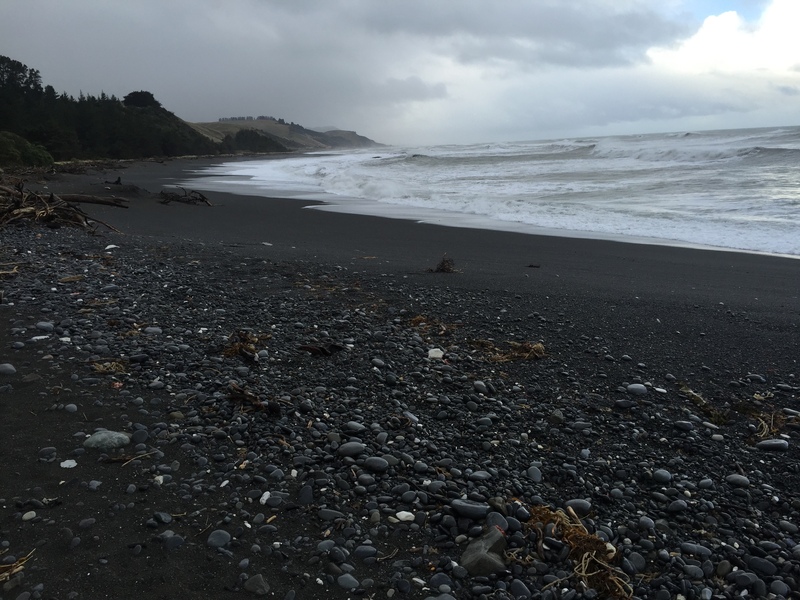 These beaches can be found in Kaikoura, along with seals. Seals, seals and more seals. You can pull up anywhere along the way and you will find Fur Seal colonies lounging on the rocks right near the road. 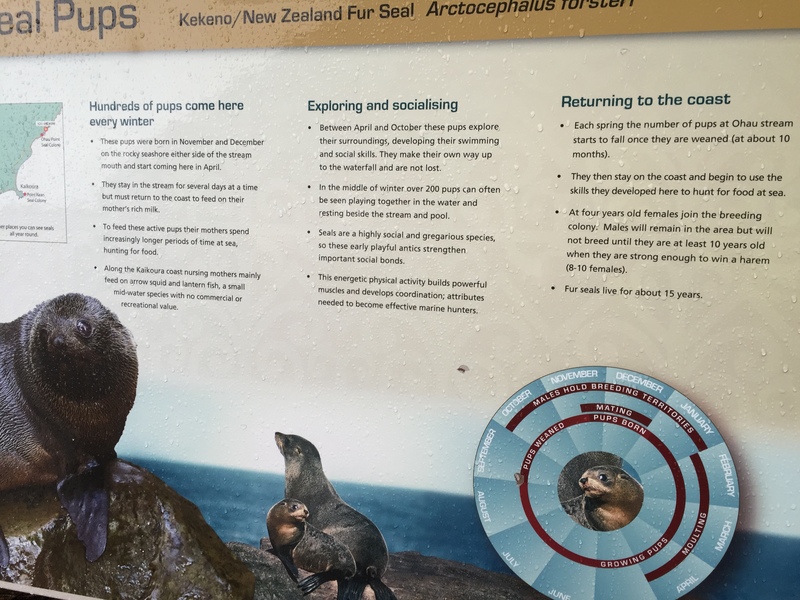 However, something even better to see is the seal pups playing in a hidden waterfall just off the state route up the Ohau stream. 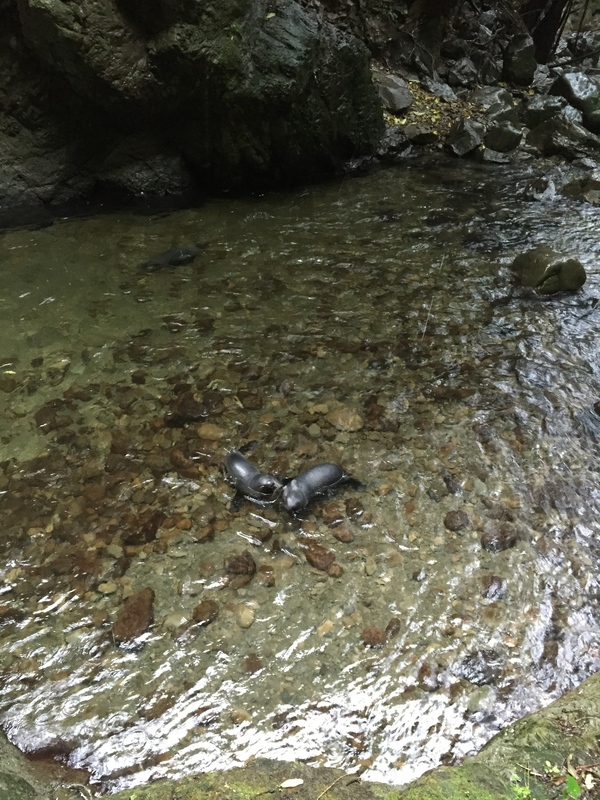 A short walk from the road, we found the seal pups flopping around in this pool at the base of a waterfall… apparently there can sometimes be up to 200 of the little fellas hanging out. Well, after all this activity and driving… it was time for some wine tasting. We turned off at some random road and headed down in search of a winery… we were positive there would be one. We turned off at Stanley Estates sign, figuring it had to be a winery… well… remember how I said we wanted something a little more obscure, I think we found it. It was a house, and as we were about to turn around, we asked the lady standing outside if they did wine tasting (might as well give it a shot) and she said yes, come on in (we later learned that her name was Bridget). Though I would love to rave on about this experience here, I am going to do a feature on the Stanley Estates a bit later on so I won’t spoil the article too much. But basically, great wine sourced from the Awatere Valley in the Malborough region. 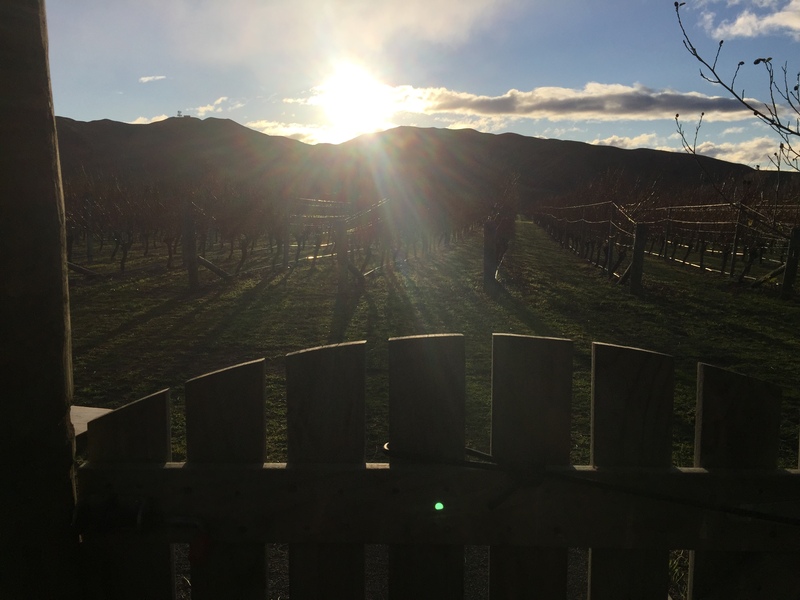 The sun was setting over the vineyard as we sat in Bridget’s house and tasted their specialty Pinot Noir and Lagrein and drove away very smug that we had stumbled upon such a novel experience. So as night fell, we decided it was best to make it to Nelson so that we could partake in as many activities as possible in the morning. I took the wheel (how exciting) and navigated some pretty hairy roads (and by hairy I mean winding). 144km and two hours later, we made it to Nelson. Settling into the Shortbread Cottage, an intimate backpackers situated just as you drive into the town. I loved the cottage, it had an awesome vibe and for $27 you get more than what you pay. A good sleep was required as we had a 23km hike to look forward to the next day. Previous A City Under Construction – Christchurch Four Years on. Your blog is constantly feeding my excitement for NZ 🙂 thanks!! Let me know if you have any specific questions that I can help you with! I’m posting another story tonight!